You are here: Home / Work @ Red Sift / Another trophy for the cabinet! At last night’s Computing Security Awards OnDMARC was the proud to be named the Anti-Phishing Solution of the Year. 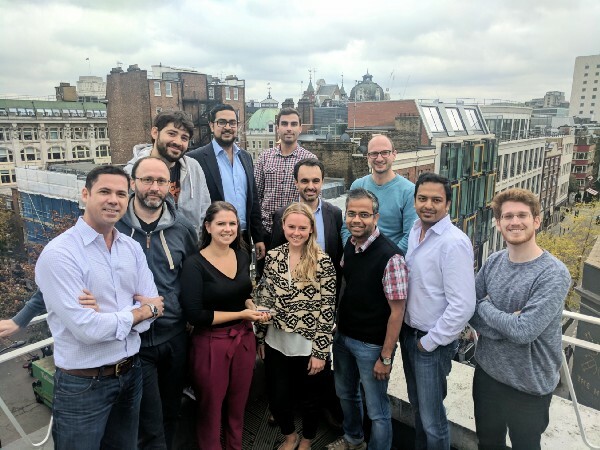 It’s been about a year since the Red Sift team first realised there was a pressing need to democratise the technology essential for cybersecurity so for it to be recognised so soon as a leading solution is fantastic (even if we say so ourselves!). This award is extra special as it’s based solely on a public vote, making it a brilliant validation of how our solution has been helping organisations of all sizes to secure their domains against impersonation. We would like to thank everyone who voted for us, we are all thrilled to have won our second award of the year and have the beginning of an impressive looking trophy cabinet! Anti Cybercrime Award -Which organisation has done the most to counter cybercrime? The Computing Security Awards is now in its 8th year and celebrates the achievements of the industry’s premier organisations. The event was hosted by the team behind Computing Security Magazine, one of the leading and most trusted cybersecurity news outlets in the UK. Next Post Do I ‘have’ DMARC?